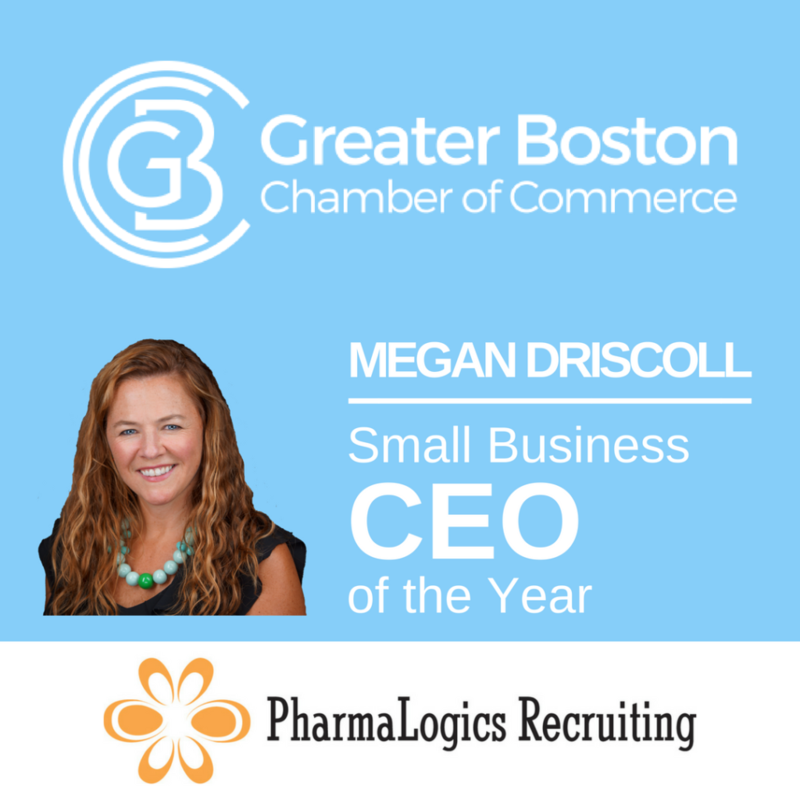 Founder and CEO of PharmaLogics Recruiting, Megan Driscoll, has been named the 2018 Greater Boston Chamber of Commerce Small Business CEO of the Year. The Greater Boston Chamber of Commerce Small Business of the Year Awards recognize the region’s leading small businesses who display strong financial performance, achievement in management, workplace excellence, product innovation and community and social responsibility. This is the first year the Chamber has expanded awards to include Small Business CEO of the Year, Diverse Small Business of the Year, and Up and Coming Small Business of the Year. The Greater Boston area is home to roughly 40,000 small businesses employing nearly 170,000 people and generating more than $15 billion in annual revenue, contributing significantly to the city’s economy. PharmaLogics Recruiting is proud to be one of these organizations. Founded in 2003, PharmaLogics Recruiting is the first and only company to offer innovative hiring solutions to the life science industry. With over 100 clients worldwide, PharmaLogics focuses on delivering top talent while reducing placement costs. The company’s clients range in size from some of the largest pharmaceutical companies in the world with headquarters in Basel, Switzerland, to venture-backed start-ups in Boston, Massachusetts. PharmaLogics maintains a U.S. headquarters in Quincy, Massachusetts and a European headquarters in Basel, Switzerland.